Gleneagles has been unveiled as an Official Supporter of the Glasgow 2018 European Championships, playing their part in history as the host of the first ever European Golf Team Championship. The brand new multi-sport event coming in 2018 is set to be staged every four years, and will combine with the existing European Championships of Athletics, Aquatics, Cycling, Gymnastics, Rowing and Triathlon. Berlin and Glasgow will combine as the two host cities for the first Championships, with most sports being held in Glasgow between the 2nd and 12th of August while the Athletics will be take place between the 7th and 12th August in Berlin. 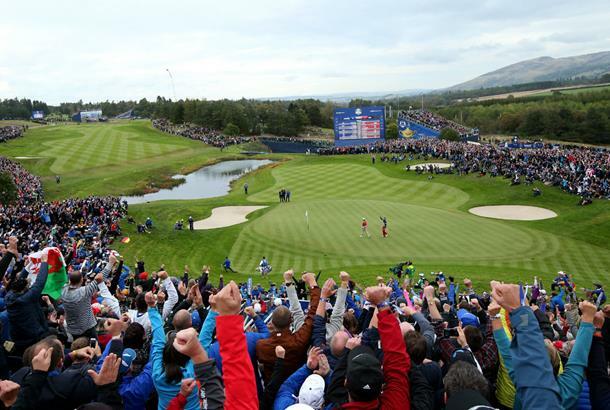 The European Golf Team Championships is the only new event being staged as part of Glasgow 2018 and will take place at the famous Jack Nicklaus-designed Gleneagles PGA Centenary Course – the site of Europe’s memorable Ryder Cup victory over the USA in 2014. It marks yet another step in golf’s eagerness to bring in a larger audience by introducing new formats to the game. Teamed with two inaugural European Tour events already named this year on the men’s circuit these Championships promise another new venture as Europe’s elite men and women are set to compete together for the first time. It is backed by the European Tour and Ladies European Tour and will include a men’s and women’s event along with a ground-breaking mixed competition. The golf will be played on the PGA Centenary Course and will include three separate categories: Men’s team, women’s team, and mixed team. Both the men and women’s team competitions will consist of a match play event played over four days, while the mixed team will consist of two separate mixed pairings per country and will be a mixed foursome stroke play event held on the 11th August, 2018.